The Pace Spartans have played some of the most memorable, drama-filled state games over the past decade, and Thursday afternoon they added to that legacy. 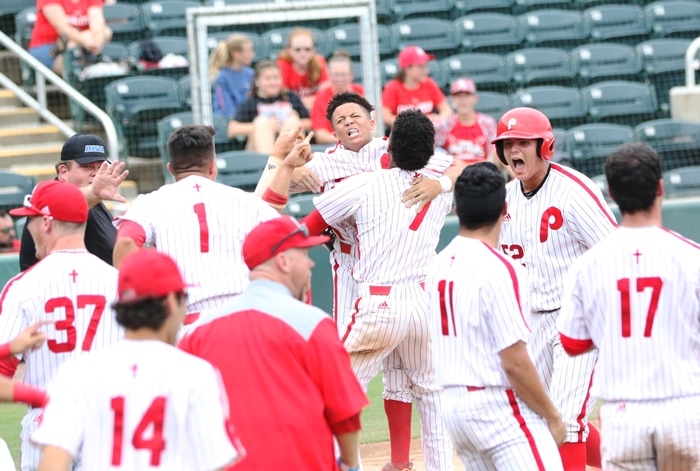 Darian Fumero, in the game due to an injury to Michael Machin, played the role of unlikely hero, driving a single up the middle in the top of the seventh to send Pace to a 4-3 win, and a 5A championship game berth. Pace scored early in this one, with Sammy Infante hitting a one-out triple in the first inning. He then scored on a Mike Montes sacrifice fly. On the mound for the Spartans was ace Yordani Carmona. The southpaw, who pitched in this same semifinal game two years ago for Archbishop McCarthy, was back on the mound after a year state hiatus, and he was nis usual, dominant self early. Carmona’s teammate Victor Mederos made sure the Spartans ace had runs to work with, launching a two-run home run in the second inning, extending the Pace lead to 3-0. The home run was the first of the year for the powerful right-hander. 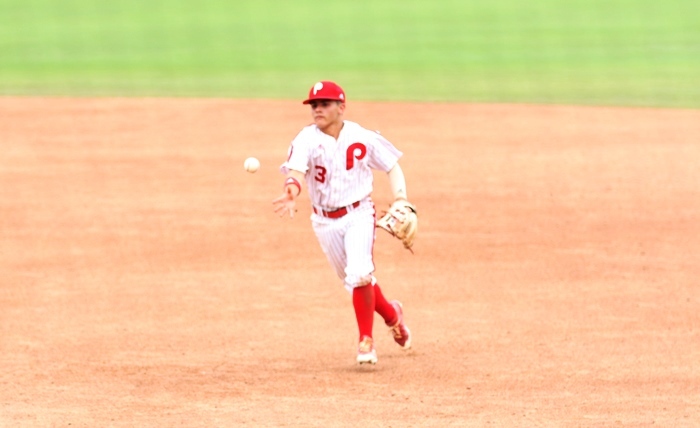 “Big time,” was how second baseman MC Sagaro described Mederos’ blast. As for Mederos himself, the home run was part of the team concept. Carmona then went back to dealing, not allowing a run to the Red Devils until the third. In the fifth, Avon Park tied the score with a two-out home run off the bat of starting pitcher Josh Rivera. “I just missed my spot and he did a good job of barreling it up,” said Carmona. After the home run, Carmona settled in, and shut out the Red Devils in the sixth, which would be his last inning of work. He finished the day with eight strikeouts. Carmona contributed to that cause when he came up in the top of the seventh and hit a two-out double to left-center. That set the stage for Fumero’s heroics. The sophomore hit the first pitch he saw up the middle to score Carmona. The Spartans then turned the ball over to their closer, Luis Gonzalez. 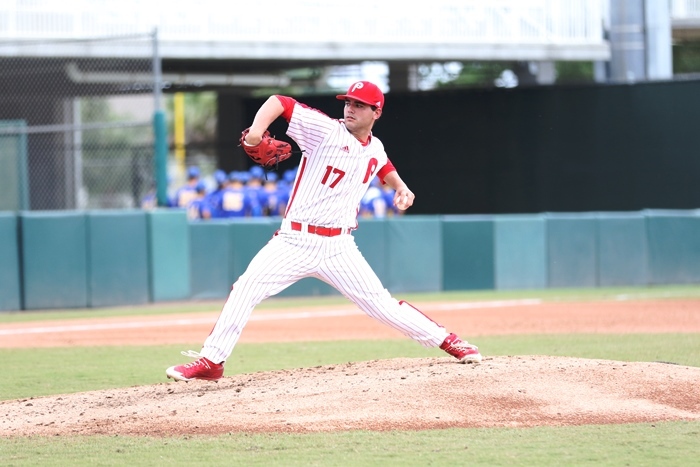 The senior dropped the Red Devils in order in the seventh, and secured Pace’s second title appearance in the past three years. The Spartans, ironically, will face the same team that defeated them in 2016, Bolles out of Jacksonville. Mederos will be the likely starter for Pace, as he has been part of the Spartans one-two punch, along with Carmona, on the mound. As for Fumero, today’s hero will likely be back in the lineup in the state final, should Machin be unable to go.